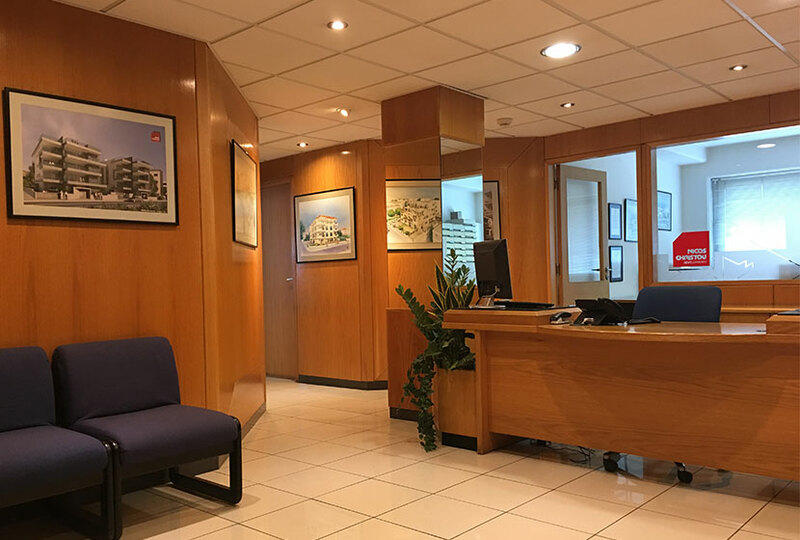 Since 1989, Nicos Christou Developments Ltd, has grown, expanded and diversified, but remains true to its core philosophy of product quality, service to clients, responsibility to the community and sound planning for the future. The key to success is our relationship with the clients, architects, engineers, building crew and subcontractors. These relationships develop and evoke trust and confidence within the construction team and lead to an innovative project management approach. The issue of title deeds and after-sales service offered by Nicos Christou Developments Ltd results in security and trust, whilst the safety and high quality of their projects built in prime locations brings them their competitive advantage. Between 1960 and 1974, Mr. Nicos Christou successfully operated his own construction company in Famagusta. In 1974 along with other parties he created a large tourist, development and construction organization. With his eyes set on the future, in 1989 he turned his interest to establishing Nicos Christou Developments Ltd, a dedicated family owned company. By 1998 Nicos Christou S.A. was founded in Greece with its main objectives being the development and construction of both housing and commercial projects. With over 40 successful projects now in Cyprus and Greece, the organization maintains the experience and know-how, to design and construct superior quality residential, commercial and industrial buildings. The company’s highly qualified team of professionals including architects, civil engineers, experienced foremen and building crew, in parallel with the use of the company’s own machinery and equipment, helps maintains total control in regards to quality, design, construction, materials and health and safety issues. The company is licensed by the Council for the Registration and Control of Building and Civil Engineering Contractors and is a member of the SEOL (Association of Building Contractors of Limassol). Welcome to the Nicos Christou Developments experience, where we believe that we have done everything we possibly can to reassure you that you are talking to the right people in regards to one of the most important purchases in your life. Since 1989, we have sought to develop property only in the best locations in Limassol, in a style that suits the lifestyle demands of current generations. The result is a guarantee of total satisfaction surpassing our clients’ demands and expectations and going way beyond our promise to you. We are as always committed to quality, value and unparalleled service. Please feel free to contact us at any time with your requirements, we are here to help.